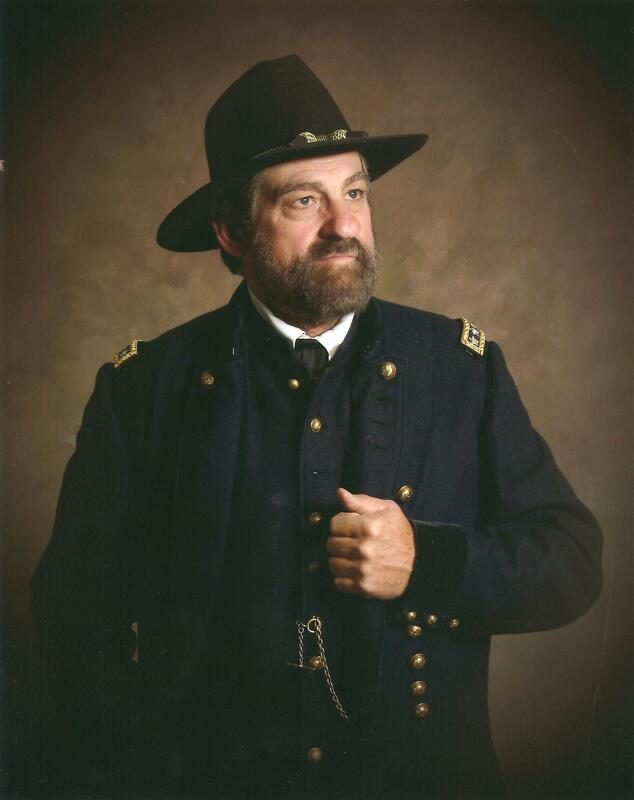 Scott Whitney, a retired math and science teacher, portrays Lt. General Ulysses S Grant Grant, or President Grant. Peggy Whitney, elementary teacher, portrays Mrs. Julia Dent Grant. Presentations given at schools, historical events, teas, and celebrations, are customized to fit your event and age group. Scott and Peggy appear together or separately, depending upon the event. Live on family farm with wife, Peggy, and daughter, Stephanie, next door, near Seward, Illinois, where we raise corn, oats, soy beans, hay, a few cattle, pigs, goats, sheep, chickens, ducks, and, of course, horses. Have performed as General and President Grant since 2000, appearing with horse Jack and/or wife, Peggy as Julia Dent Grant, at many events each year. Have made hundreds of appearances in the last 17 years in Milwaukee, Chicago, Galena, Springfield, St. Louis, Columbus, Ohio, Gettysburg, P.A., and many places in between. Began portraying Julia Dent Grant in 2001, with General and President Grant. Have appeared at schools, historical celebrations, living history events, and teas in Milwaukee, Chicago, Galena, Springfield, St. Louis, Midway Village, Rockford, as well as other places.